ILoveCO2.com was founded in January 2009. Welcome to the CO2 lovers site! Based out of Vancouver Canada, Nelson New Zealand and San Francisco California. The purpose of this site is to enlighten as many people as possible on climate issues and correct a common misconception held by a large percentage of the population: the myth that Carbon Dioxide (CO2) is a pollutant. The truth of the matter is there is no justification for demonizing CO2. It is certainly not a pollutant. Carbon Dioxide is a very important trace gas which life depends upon. Throughout this site you will learn that CO2 is not an enemy, it is a wonderful friend. It is scientifically proven to be very beneficial to the planet, does not cause so-called “climate change”, and currently the Earth is actually quite CO2 impoverished — meaning CO2 levels are very low and it would do no harm to encourage CO2 emissions for a cleaner greener world. When it comes to CO2 in relation to environmental news and current events, this site is all about facts, not fiction. We’re active promoters of exposing the junk science and motives behind the global climate change hoax and the unfounded demonization of CO2 of which the alarmists feed upon. Like many others, we are tired of Big Environment constantly pressing their often fraudulent political agendas into our lives, and we’re equally tired of the mainstream media and politicians spearheading such campaigns on an unsuspecting public and enacting regulations and disastrous policies when in fact those policies are completely devoid of any factual science to support the very theories they’re based upon. Think the debate is over? Think again. As of January 2009, over 31,000 scientists have signed a petition clearly stating that man-made global warming does not exist and that CO2 emissions are in fact very beneficial to our planet. It is just one of many such large petitions and scientific backlashes recently springing into action to help fight the hysteria-driven climate change myth. The facts are clear, and the hoax is being exposed for the fraud it truly is. We have absolutely no doubt that science WILL prevail over political and media science fiction. OUR POSITION MADE CLEAR: Let’s get started on the right understanding first. 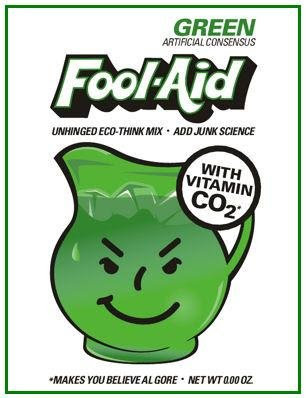 One of the most absurd claims made by the heavily funded “green” groups and extremist environmentalists is that those of us who dare to challenge the non-existent “consensus” of their global warming religion must be “evil”, “anti-environment”, “nature haters”, etc. As is often the case when the alarmists are presented with real science to which they cannot debate, they resort to name calling. The simple fact is, we are certainly not anti-environment. Quite the opposite actually, and we believe there is much work to be done to protect our world for our children and future generations. The ludicrous claim that we are ideologically opposed to the regulation of pollution is the issue. ABOUT THE FOUNDER: This site was founded by a concerned citizen with no funding from outside sources. To put it simply, the founder is an environmentalist in its true form. What he is not, however, is an extremist. He was a former supporter of the man-made global warming theory, attending Greenpeace rallies and raising awareness to what he thought was a real and serious problem, because just like everyone else he absorbed the mainstream media message and was impressed by the giant power point presentation by the former Vice President. But once he started doing some research and looked into the basis behind the theory, things changed nearly immediately. Unlike many in the environmentalist movement who cling to their beliefs so strongly it has become a religion, he decided to side with facts and science. No longer is he concerned about “global warming”. Now he is concerned about a real and dangerous threat: Environmentalist ideologies, government manipulation and regulations, and the lives of countless millions in the third world who are being put at extreme risk due to those regulations, all to prevent a climate crisis which does not exist. As for pollution problems, many of us at ILCD and our contributors were, and still are, active in opposing real pollution when it is a problem (for example, much time and money invested to causes dealing with beach and water clean ups, proper forest stewardship, polluted river efforts, etc). What we do not accept is the idea that CARBON, the basis of all life on earth, is “pollution”. Ad hominem attacks are symptomatic of campaigners who are aware that they have lost the intellectual argument. They are just big attacks by big losers. The UN’s Intergovernmental panel on Climate Change (IPCC) is full of hot air, no pun intended, and has been discredited time and time again. Even some UN IPCC scientists have resigned and spoken out against the biased IPCC reports. 1) UN IPCC reports do not represent the input, views or consensus of scientists. 2) Changes in glaciers, sea-level, species, etc., are not evidence of abnormal climate change. 3) Climate models cannot predict climate (even IPCC reps agree). 4) Significant peer-reviewed research has discredited the global warming hypothesis. 5) We need more low-cost, reliable energy to adapt to natural climate change. 6) There is no scientific basis to cut CO2 emissions. 7) It is not shown that CO2 alters climate. 8) It is not possible to stop climate changes. Period. 9) The “precautionary principal” is irrational, and dangerous. 10) Reducing CO2 emissions is a tragic misallocation of resources. 11) Reducing CO2 emissions will decrease our ability to adapt to climate changes. 12) Reducing CO2 emissions will increase human suffering. Not debatable. 1) The earth warming is not due to CO2. 2) Solar activity drives global temperatures. 3) The 1500-year solar cycle is confirmed. 4) The Pacific Decadal Oscillation, not CO2, drives temperatures. 5) We are now entering 20-30 years of cooling. 6) The IPCC global warming hypothesis is invalid. The UN IPCC, ICLEI and all supporting groups like the Sierra Club, Greenpeace, etc, knowingly and purposely perpetuated a fraud upon the citizens of this planet. Their purpose is their own political agenda. So-called sustainability proposals, and companion legislations in hundreds of cities across North America, is but a small step to brainwash the population into believing they must give up their abundant energy sources in order to save the planet. This is an evil delusion. The seemingly nice, feely-goody greenie-versions of sustainability proposals are already leading us into self-imposed destruction. None of these assumptions are supported by science or technology. These assumptions are brainwashing. “Sustainability”, at least the way the enviro-extremists envision it, is built on a foundation of sand. It consists not of truth but of feelings. Human-caused climate change is a religion. Not fact. Governmental enforcement of a religion is against the First Amendment to the Constitution of the United States of America and against the Charter of Rights and Freedoms in Canada. Sustainability forces decisions to be made on unfounded criteria. It forces decisions to favor more costly alternatives. In the end it will help destroy our economy and jeopardize the lives of countless souls in developing nations. All carbon taxes and cap-and-trade schemes are agendas that can and should be eliminated immediately. They should be eliminated because they waste voters money, cause hardships in poorer countries, and have zero effect on the natural environment. Damages from this massive fraud include all the direct costs to implement the AGW / CC / GHG agenda, but also include indirect costs of the lost time and resources to pursue proper economic goals because of the diversions of these agendas. They include the indirect costs of promoting wind energy as a substitute for coal, oil and nuclear. Wind energy would not be cost competitive without federal income tax credits. But the tax credits merely shift the cost burden from an electric bill to federal taxes. They transport wealth from the middle class to the super rich. A hidden cost of wind energy is the steel, concrete and transmission lines. Not to mention the thousands of square miles of destroyed land to build windmills that provide only a small fraction of our power. Another hidden cost is the investment necessary for utilities to rebuild their facilities to accommodate wind’s unpredictable, variable power source on the electric grid. A not so hidden cost is the permanent damage done to the land. If renewable means the ability to return nature and land to its original state then wind farms do not meet the definition of renewable. Same goes for solar. All these costs are ignored by the sustainability delusion. Besides, CO2 emitted by abundant traditional sources of power generation is not harmful. It is completely Green. CO2 is definitely not a pollutant. It is a friendly trace gas necessary for all life. Human-produced CO2 is a tiny fraction of a percentage of greenhouse gases. 96.5% of all greenhouse gases emit from the oceans, naturally. Without CO2, vegetation dies, herbivores die, you die. CO2 levels used to be much higher many times in the past. Higher temperatures from the sun result in CO2 levels rising long afterwards. Rising CO2 is an effect of global warming, not a cause. Global warming and cooling is a natural phenomenon. The higher the CO2 levels in the atmosphere, the greener our planet becomes. Forests and plant life growth has increased by approx 40% over the last 50 years, thanks to CO2. Increasing CO2 yields larger food crops. This is beneficial to a growing population. The Earth is not currently warming, it is in fact cooling. Temperatures in the past have often been much warmer than today. Even if it were to happen, a warmer Earth is far better than a colder one, for all life. Many scientists believe we are on the brink of another ice age. When the planet warms and cools it is purely due to the sun. Not your car. Climate changes happen all the time, and have occurred much faster than anything in modern times. There has been no increase in extreme weather. In fact, records show the exact opposite. The list goes on and on, supported by NASA data, weather satellites, and much of the meteorological and scientific world. Of course, you’ll never hear this from that green goblin of doom Al Gore, or the politically driven IPCC, or any of their celebrity pseudo-scientists and their extremist campaigners. They have stocks to protect, jobs to keep, funding to secure, carbon taxes worth TRILLIONS of dollars to enforce, and regulations to push through after all. Gore says they have a “consensus”. How about the over 650 700 dissenting scientists who publicly denounced Al Gore’s theories and the IPCC at the US Senate recently? How about the fact that 700 scientists is more than thirteen times the number of UN “scientists” (52) who authored those hyped up media reports for Gore and crew? Let’s be honest, those 52 highly-paid scientists politicians are Gore’s only real consensus fan club. And let’s most certainly not tell him about the 31,000 scientists on the petition I mentioned above, and thousands more on other petitions such as these. It’s quite clear that if there is any consensus at all, it is a consensus against the man-made climate change theory. Gore is clearly unaware of all these people! (Or rather, he simply doesn’t want you to know about them…). And then there’s Climategate, the public revelation that climate scientists have been fudging the data for years, hiding the decline in recent temperatures, and blacklisting those who disagree with them. Thanks to that, the general public has grown much wiser to the scam of the century. In fact, those who still believe in man-made climate change are in the minority according to all recent polls. “Many [scientists] are now searching for a way to back out quietly (from promoting warming fears), without having their professional careers ruined.” – Atmospheric physicist James A. Peden, formerly of the Space Research and Coordination Center in Pittsburgh, Pa. FACT: Even if we burned every fuel on earth we would not come even close to CO2 levels from the past! Creating more CO2 has one scientifically proven effect: It encourages faster plant growth, and results in a greener planet. CO2 does not cause temperature rises, in fact it is the natural temperature rises (caused by the sun) which in turn causes the rise in CO2 levels, de-gassing from our oceans, naturally and beautifully, hundreds of years later. This is the actual science. But it’s not the media-hyped Hollywood “consensus” supported by Al Gore and the mega corporations cashing in on green stock. The enormous Global Warming Industry is one of the biggest businesses around. It involves tens of thousands of jobs and billions of dollars in funding and grants, therefore they have a very strong desire to keep the climate change theory afloat — no matter how false their science is, no matter how many times their crackpot theories have been disproven. If the alarmists get their way and continue to demonize CO2, you will see major tax increases, travel restrictions, less freedom everywhere, and hundreds of millions of lives in third world nations will be put at extreme risk due to development restrictions. We do not think that is acceptable. There is so much more going on than meets the eye, and since you will not see it on your six o’clock news we will be striving to expose the truth here. This site is now part of a large and fast growing network of web pages and blogs exposing the reality of this situation and getting the word out. We realize the urgency of the situation and must act now to avoid disastrous global policies which do nothing except line the pockets of corporate CEO’s and politicians while further threatening freedom for all and ultimately risking hundreds of millions of lives. But it’s not all bad news! Apparently the general populous is waking up to this reality. A recent poll shows approximately 60% of the population no longer believes man is causing any climate change. Also, Al Gore’s mokumentary science fiction movie An Inconvenient Truth has been banned from many school systems due to its extreme errors. In England, a High Court Judge has ruled the film contains “9 major scientific errors” and rightfully labeled it as “political propaganda”. Scientists around the world heralded the decision, as did we. Then later, it was revealed the number of discovered errors shot up to a whopping 35. There’s nothing left “real” in that movie, aside from cherry picked scary images and a whole lot of hot lies. How inconvenient for Gore and his massive green energy stocks. So the next time you see Greenpeace rallying to save the polar bears, remind them that the debate is certainly not over. It has just begun. And the polar bears are actually thriving in huge numbers, by the way. Scientists are now speaking out in public much more often, no longer afraid to expose the truth. Day after day the junk science used by environmentalists is debunked and exposed, and you’ll see a lot of it here, we promise. “I have yet to see credible proof of carbon dioxide driving climate change, let alone man-made CO2 driving it. The atmospheric hot-spot is missing and the ice core data refute this. When will we collectively awake from this deceptive delusion?” – Dr. G LeBlanc Smith, a retired Principal Research Scientist with Australia’s Australia’s Commonwealth Scientific and Industrial Research Organisation (CSIRO). We live by the motto “knowledge is power”. This is an absolute truth. Embrace it. So go ahead and take a holiday in Montenegro, Croatia, USA, Asia, South Africa, Holland or wherever you like and enjoy your life to the fullest, eat good food and drink good wines, take a walk or hire a car, all without worrying about your carbon footprint – because that is meaningless twaddle by bureaucrats and pseudo-scientists sold on taxes and grants. Shame on them! CARBON DIOXIDE IS GOOD STUFF, SO LOVE IT. “Carbon is the building block for all life on earth. It provides all of the food and most the energy for the human race. Carbon dioxide is a tiny part of the atmosphere, yet it sustains all life on earth. It is NOT a pollutant. To be anti-carbon is to be anti-life and anti-human.” – Viv Forbes, Pasture Manager, Soil Scientist and Geologist. One popular opinion is that current man-made global warming hysteria is largely driven by the environmentalist movement in an attempt to reshape western society away from capitalism by implementing state control (socialism) over private energy usage (Carbon Taxes, Cap and Trade). These environmentalists generally wish to get rid of the suburbs, SUVs, single family homes and return western society to a neo-urbanistic state of living. This is because the current environmentalist movement is filled with ex-communists and neo-socialists who have long ago abandoned science and replaced it with their politically motivated environmental “religion”. No, not all scientists including those few who support the man-made global warming theory seek these politically motivated intentions but their position has been distorted and exaggerated for political gain by extremists. The other major driver of this hysteria is purely political, with many economic and socialist motives to promote the theory. We couldn’t have said it better. On that note, remember we’re always scouring the net for interesting stories and relevant information on these topics to help share with the world, so if you’ve got a tip or would like to share a story please don’t hesitate to do so. Thanks for reading, and remember that when you exhale your 2 lbs of CO2 every day, the Earth thanks you! > NEW! Become a fan of Carbon Dioxide on Facebook!